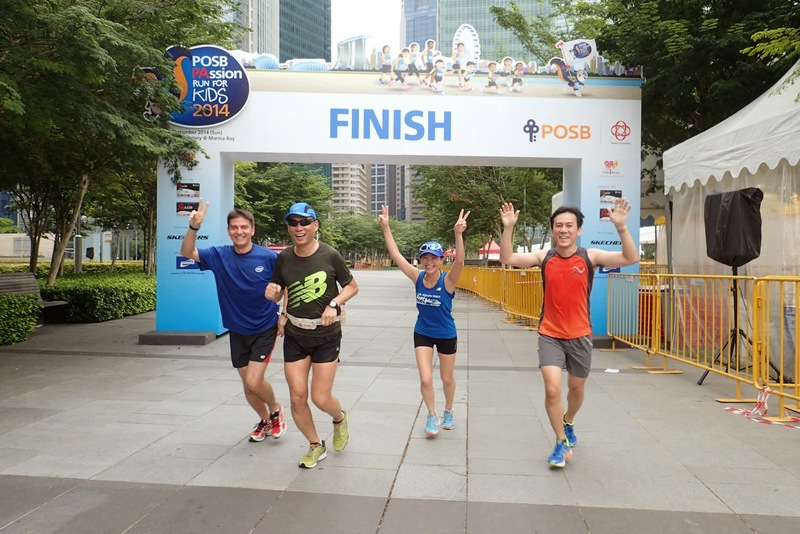 The 3rd and finale training run of The Straits Times Run @ Sports Hub was fittingly sited near the final end point of the race itself, at the newly-minted Singapore Sports Hub. 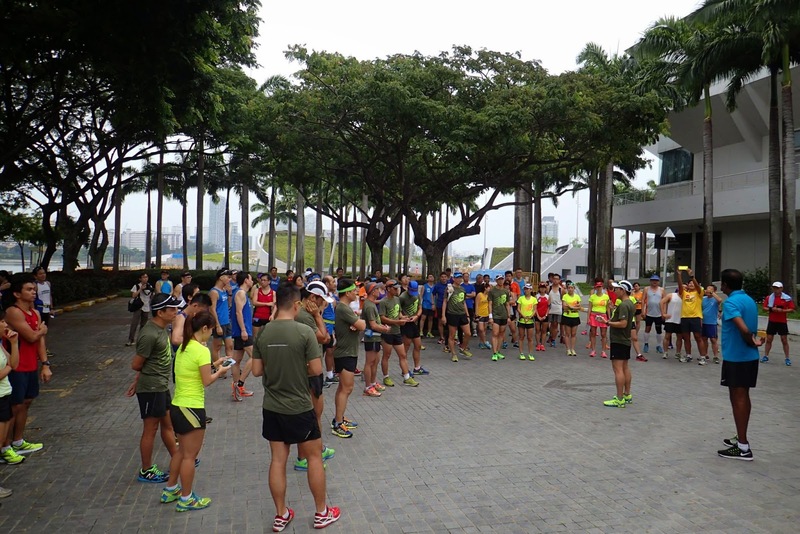 About 100 runners and Pacers turned up at the footbridge in front of Singapore Indoor Stadium in anticipation of their final preparatory run for the race in 2 weeks time. 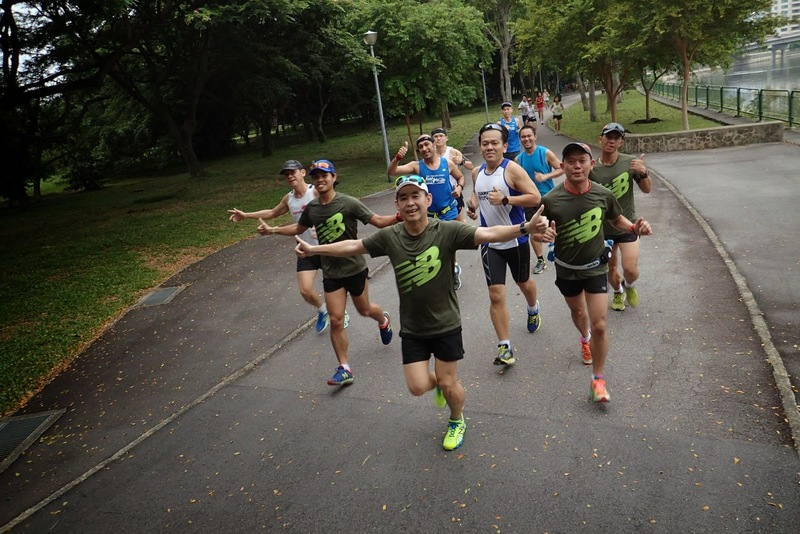 Team FatBird (on behalf of the race organizer) gave a short welcome, followed by National Head Coach (Distance Running) Ghana who gave tips on how to prepare for a good race. 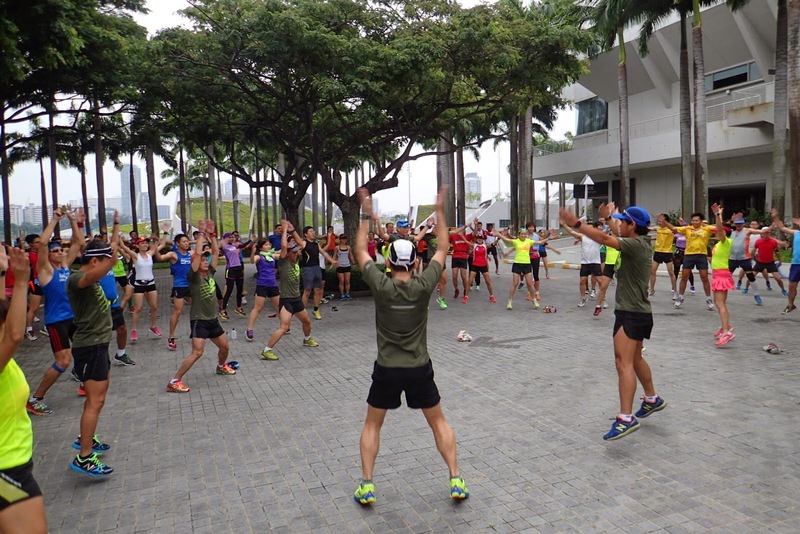 A route briefing ensued with a good round of dynamic stretching led by the dependable Team FatBird Pacers. 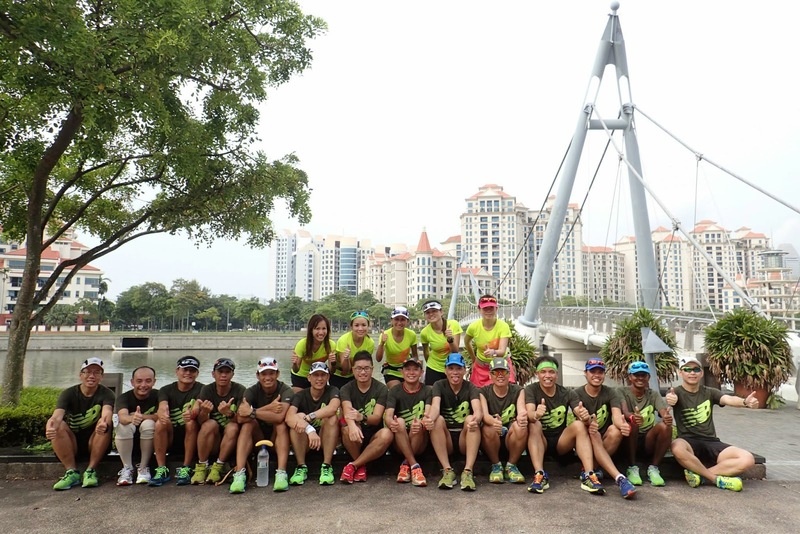 Photographers were on hand to snap some great looking group photos before we were flagged off together. 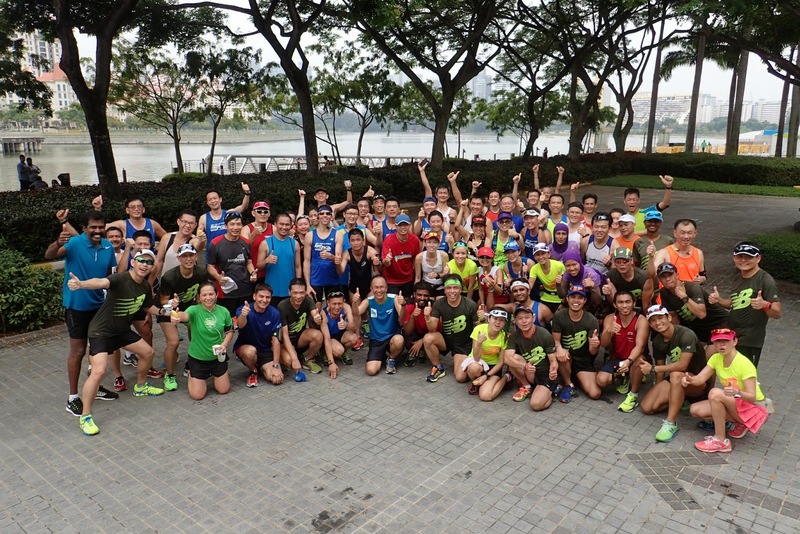 The participants, grouped into the four pace groupings of 1:50h, 2:00h, 2:15h, 2:30h took off in cloudy cool weather. 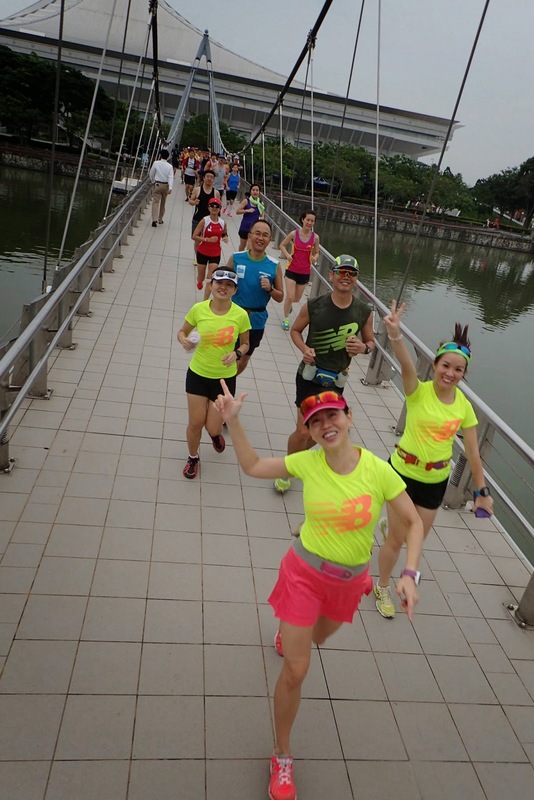 The 15km paced run covered a segment of the actual race day route from parts of Geylang PCN to Gardens By The Bay East, Marina Barrage, Marina Bay Sands, Marina Promontory and passing key scenic areas. 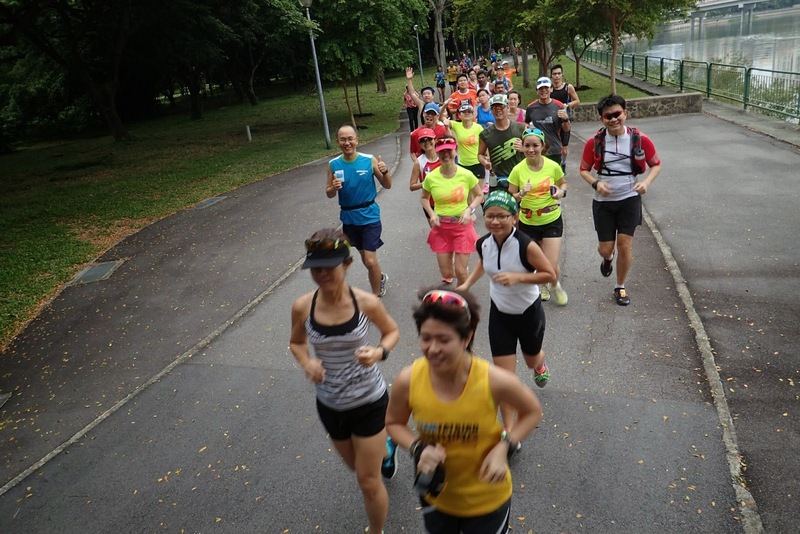 Water support was great with 2 water points supplying isotonic drinks and water, covering 4 stops to/from the out/back route. 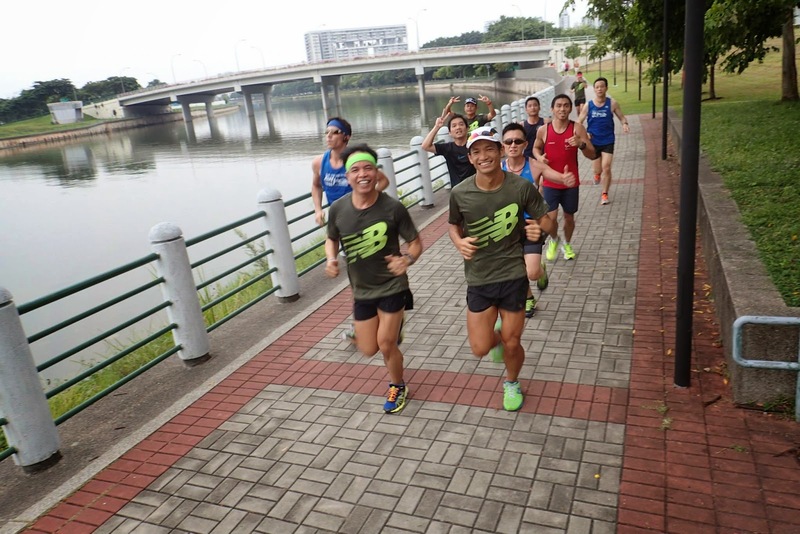 The first 10km was comfortably paced, with most of the runners sticking to their respective pace groups at Optimal Pace (a few seconds faster than targeted race pace for that 1-2 min of buffer). 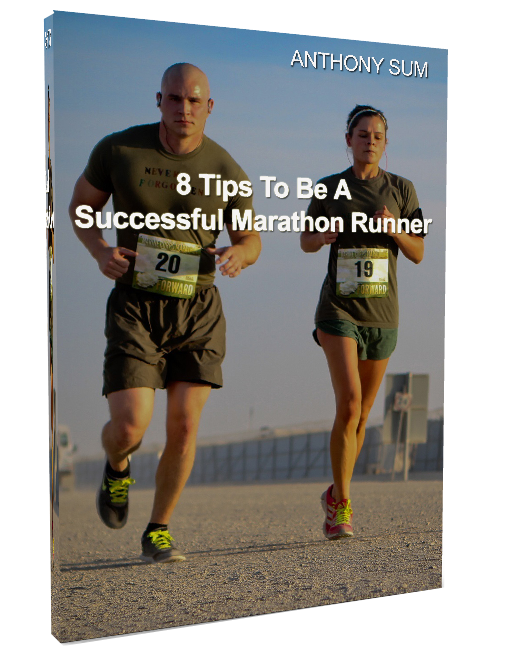 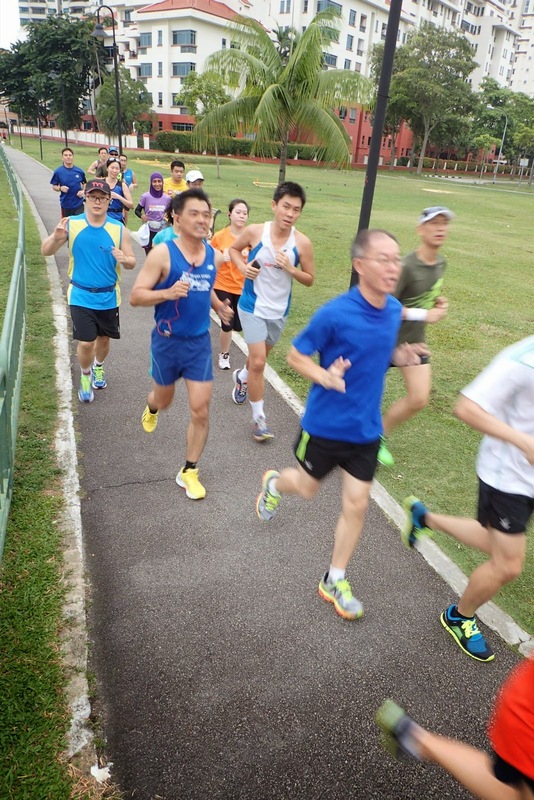 The participants came well prepared for a hard run which many of them were able to maintain target paces for. 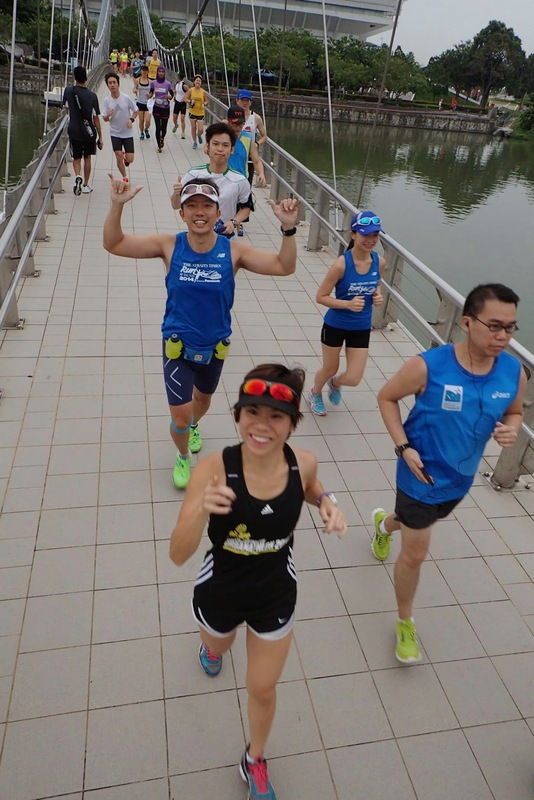 There were minimal down time along the way as breaks, if any, for water were short, and reactions were quick with a pick-and-go approach for the drinks. 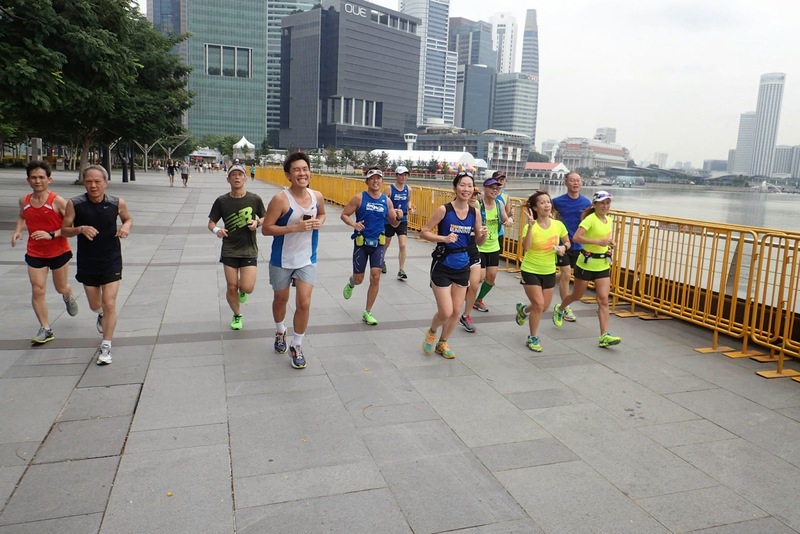 At the 12-13km mark, there was a slight slow down for some of the runners who were feeling the effects of low-fuel – a number perked up after downing an energy gel or electrolyte tab, and were able to sustain good paces from then. 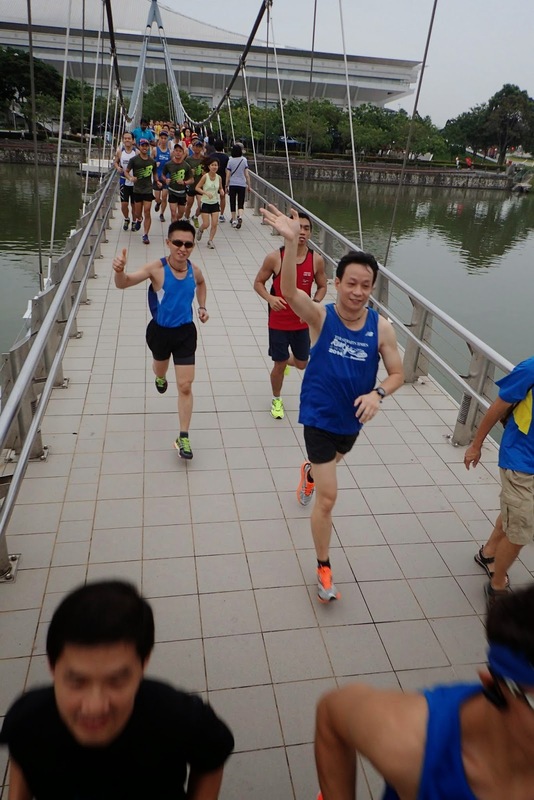 The final 500m was sweet as the runners ran up the Tanjong Rhu bridge towards the end point, to applause for a satisfying finish. 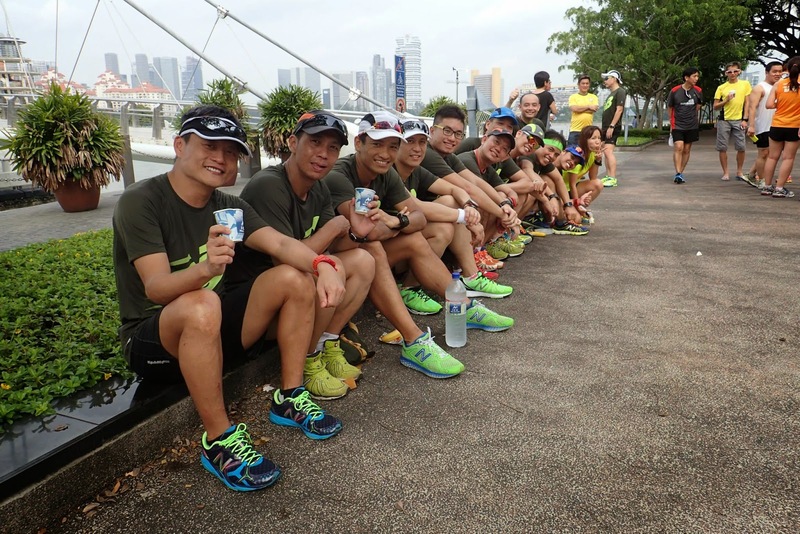 Drinks, bananas and energy bars were offered to the hungry runners who had spent quite a fair bit of reserves to maintain the pace, but it was well worth it from the looks of their happy and satisfied faces. 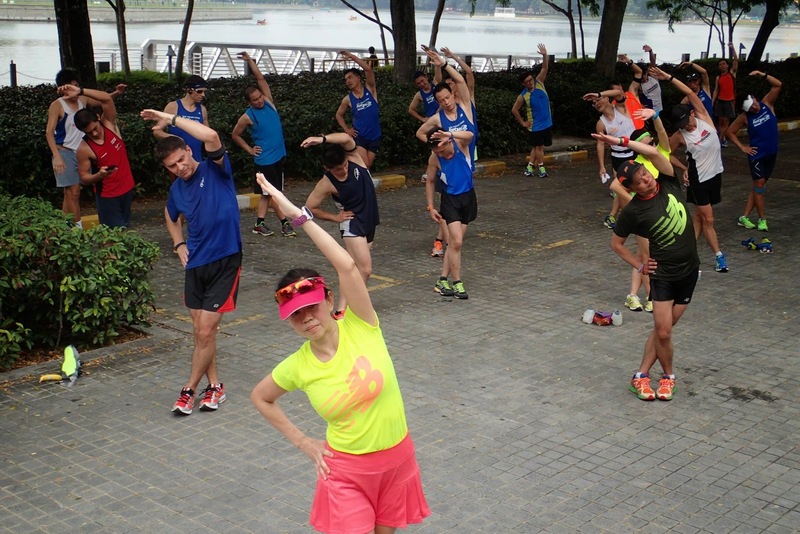 A good stretch down was conducted by the Team FatBird Pacers to ease off tensions and loosen any tight muscles for a quicker recovery, Another round of group photos was taken of the happy finishers of the training run, with lots of thumbs up and roars of excitement at their good performances this morning. 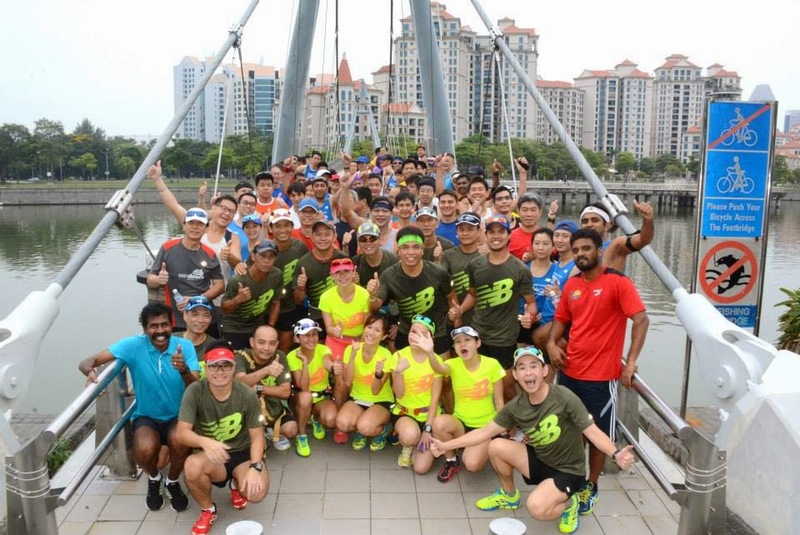 Lots of chatter and sharing continued after, and as we bade farewell to all the ST Run trainees, there were delight and confidence in all of us that we will be seeing some good timings and Personal Bests (PB) on Sep 28. 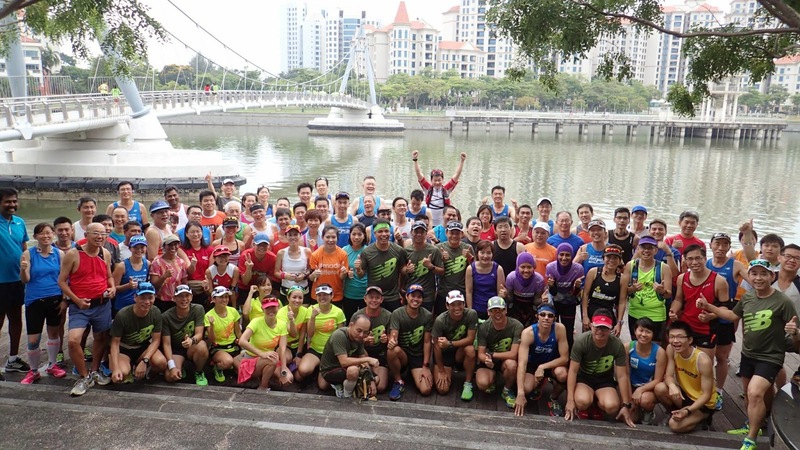 We would like to thank the Organizers (The Straits Times, Inifinitus Productions, New Balance Singapore) of this ST Run training/pacing series for a smooth and fruitful three progressive long runs which have benefited many ST Run participants and left great memories of the teamwork and motivation in all the respective pace groups. 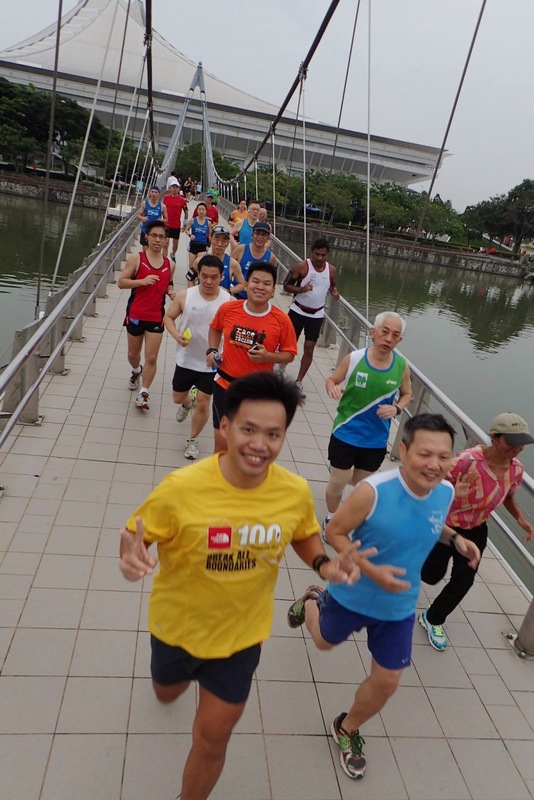 We wish all ST Run participants an enjoyable and fruitful race and be able to claim bragging rights of being one of the first few to finish their race on the competition track of the Sports Hub Stadium. 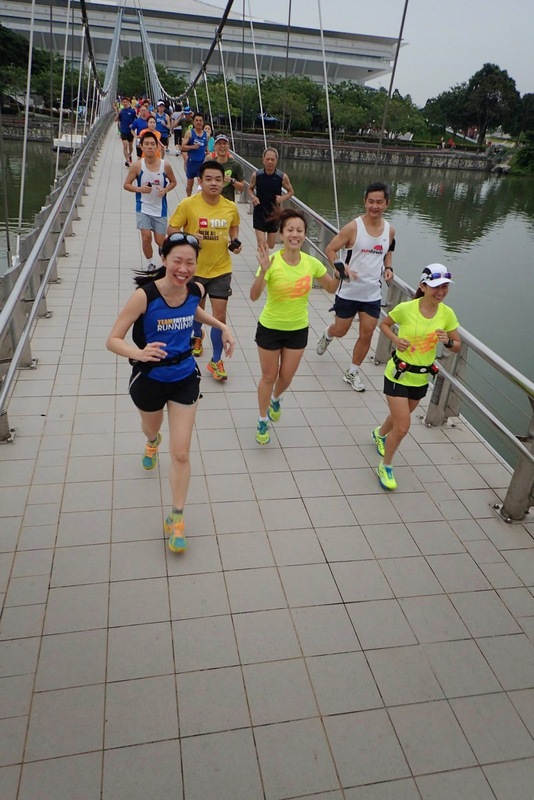 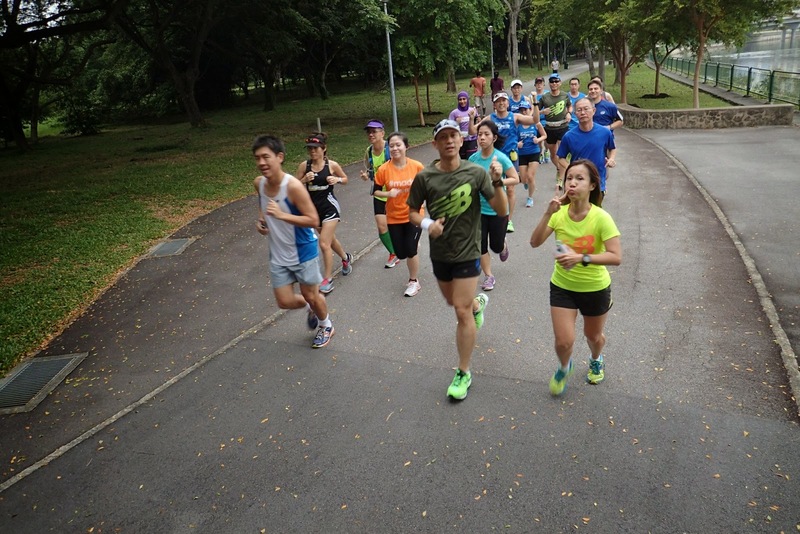 Straits Times Run 2014 Pacers – Follow Our Pace, Win Your Race!